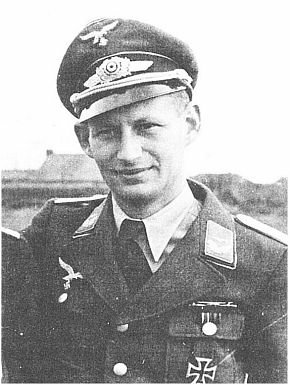 KOCH Leutnant Karl Heinz. He joined the Luftwaffe in 1938, became a pilot in 1941 and was shot down on several occasions throughout the war. He flew briefly with JO 3 in Russia and joined JO 5 in May 1944. He ended the war in command of 12/JO 5.